[General description] In this upper body portrait a charismatic George Milner Stephen looks straight at the photographer. He sports a fashionable hair style and a large bow tie. 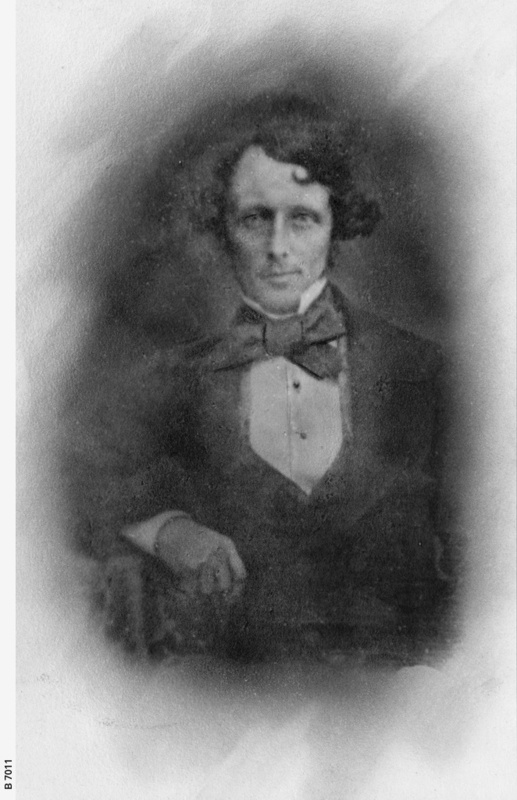 He was Acting Governor of South Australia for a brief period between the departure of Governor Hindmarsh (July 1838) and the arrival of Governor Gawler (October 1838). [On back of photograph] 'George Milner Stephen / F.G.S. (London and Cornwall) / F. Natural History Society of Dresden / F.R.S. (Sydney) / Barrister-at-Law Middle Temple London / Acting Governor of South Australia 1838 / Copied from a deguerrotype made in 1841 in London / Presented by A.E. Hindmarsh Stephen'.